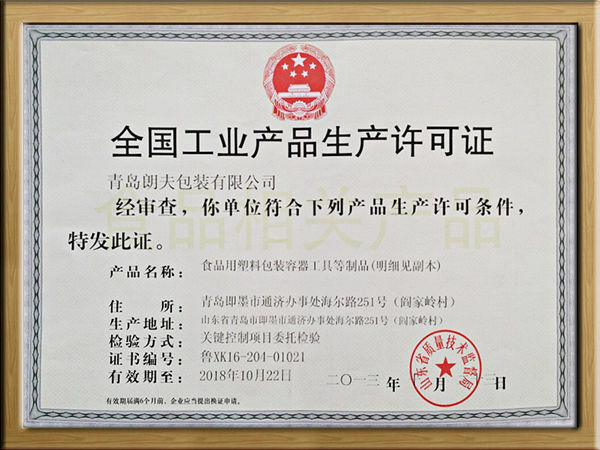 National License of Industrial Products-Qingdao LAF Packaging Co., Ltd.
Dirección: No. 251, Haier Road, Tongji St. Office, Jimo, Qingdao, China. Qingdao LAF Packaging Co., Ltd.